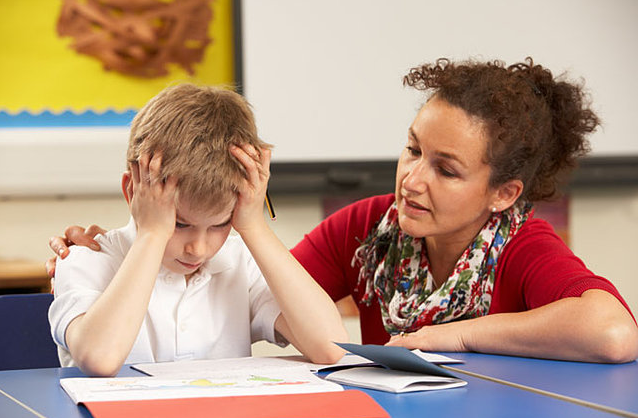 In both of these instances, the teacher has not done anything wrong. In fact, we have all done this from time to time in the midst of busy days in which we’re managing multiple tasks. But there’s an argument to be made here that both Marcos and Jaylene missed opportunities for reinforcement of the behaviors we most want them to exhibit. One thing that can help is to prioritize your goals. If the primary goal for Marcos is to use spontaneous language, then when we start out we want to provide a continuous rate of reinforcement. This means that it will sometimes interrupt other tasks, but if it is the biggest priority, that’s okay! The long term gains of reinforcing Marcos’s spontaneous language likely outweigh the frustration of an interrupted lesson. The second thing that can help is communicating the priorities to other adults and staff. If David lets other teachers and administrators know that Jaylene’s foremost goal is to initiate interactions related to play, then a brief interruption in a conversation should not be an issue. Again, the long term gains of reinforcing Jaylene’s initiation of play likely outweigh any issues around an interrupted conversation. Finally, try to plan ahead. Think about instances in which the child is most likely to engage in the targeted behaviors and talk with staff about how to ensure reinforcement takes place. The last thing we want to do is to unintentionally punish the desired behaviors. Unfortunately, you are not alone in this one. Bedtime can be hard for so many kids and parents (me included!). We could spend all day guessing why our kiddos fight going to bed. Do they have FOMO (fear of missing out) on what parents do after they go to bed? Are they not tired enough? Are they too tired? Are their pajamas truly itchy? Is there really a scary shadow of a monster on the wall? But those questions don’t guide us to a solution to deal with this daily problem. Instead- let’s look at it from a solution-based perspective. What would a solution look like for you? What behaviors are you looking to increase at bedtime? So what can we do to increase these behaviors in our homes each evening? Try some evidence-based positive reinforcement strategies! Premack principle: FIRST (do the unpreferred task), THEN (get a reinforcer). The FIRST needs to be clear and direct. Tell your child what the target behavior is. What CAN they do right now to earn reinforcement? The THEN needs to be worth it for your child. Choose a quality reinforcer or better yet- let your kiddo(s) choose! FIRST use a quiet voice at bedtime, THEN we can sing a song together. FIRST stay in your room until 7am, THEN you can watch a TV show in the morning. FIRST follow directions at bedtime, THEN choose a toy to take to bed with you. Choose specific target behaviors. Tell your child 1-3 things they CAN and should do at bedtime instead of problem behavior. Give the token (sticker on a sticker chart, marble in a marble jar, points on a point sheet, etc) every time your child does these desired bedtime behaviors. 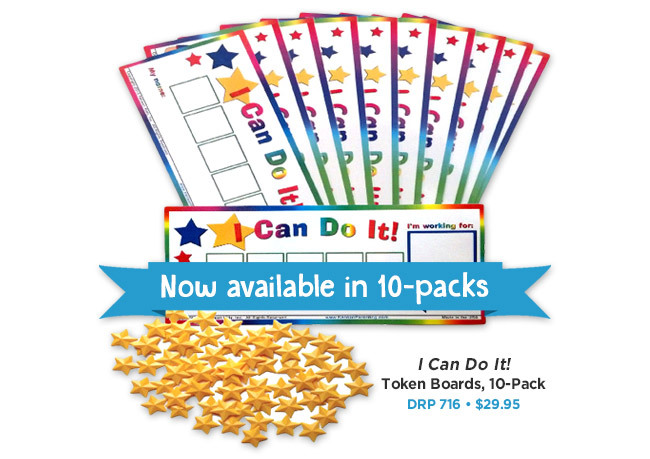 When they reach their goal- let them use their tokens to ‘buy’ the big reinforcer! To be successful, be consistent. Give a token every time your kiddo does one of the desired behaviors. Be clear- make sure your children know what the desired behaviors are. Don’t set the goal too high to start with. Help your children to be successful to get them on board with the plan! No matter what evidence-based strategy you choose, be consistent with it. Give reinforcement as immediately as possible. Catch your children being good and give high-quality reinforcers! Homme, L. E., Debaca, P. C., Devine, J. V., Steinhorst, R., & Rickert, E. J. (1963). Use of the Premack principle in controlling the behavior of nursery school children. Journal of the Experimental Analysis of Behavior. Kazdin, A. E. (1982). The token economy: A decade later. Journal of Applied Behavior Analysis, 15(3), 431-445. Kazdin, A. E. (Ed.). (1977). The token economy: A review and evaluation. Plenum Publishing Corporation. Knapp, T. J. (1976). The Premack principle in human experimental and applied settings. Behaviour Research and Therapy, 14(2), 133-147. As parents, we want our kids to want to have good behavior. They should want to behave because it’s the right thing to do, right? Yeah right. This is why all parents should use token economies. Have you met a 3 year old with an innate desire to good for this world? It’s in there somewhere but at age 3, it’s more like threenager-ville. Little humans do what gets them what they want. They behavior in a certain way to achieve a certain outcome. A threenager is likely to tantrum to get access to their favorite toy, TV show, candy, a left shoe they can see on the other side of the room — you name it. They are acting a certain way (tantrum) to achieve a certain outcome (getting whatever they want). What can we do about this? Is there any way to teach them to behave?! Well, we can make sure they get what they want not by having a tantrum, but by engaging in desired behaviors. We can use positive reinforcement in a more structured and specific way than just handing out praise and rewards willy-nilly. The definition of a token economy is: a behavior change system consisting of three major components: (a) a specified list of target behaviors; (b) tokens or points that participants receive for emitting the target behaviors; and (c) a menu of backup reinforcer items. Token economies can possibly take the form of sticker charts, chore charts, marble jars, etc. You need a physical token that your child can earn when they engage in the desired behavior. You do NOT need to go out and spend $50 at the nearest school supply store making a big fancy chart. You can draw 5 circles on a piece of paper. When they do the desired behavior, draw a check mark in the circle. Done. Grab that piece of junk mail off the kitchen counter and a half-eaten, I mean half-broken, crayon. The next step is to define the behaviors. Again, you don’t need a big fancy dictionary. Just pick one to three behaviors that will earn the tokens. You need your Little to understand this so it can’t be a big grown up idea like ‘being responsible’ or ‘showing respect’. What does that mean to a Little? Be specific. You earn a token for: (1) following instructions without yelling; (2) eating 5 bites of every food Mom puts in front of you; and (3) putting on your shoes when instructed to. Pick your battles. You may have a list of 20+ things your Little could stand to improve. I’m pretty sure I have a list of 20+ things to put myself on a token economy. Let’s prioritize and make it understandable by the kiddo. Lastly — what can they earn with these tokens? You can give choices before earning and they can decide at the beginning or at the end. You can make a fancy menu of reinforcers — Chuck E Cheese is the perfect example of this. This many tickets = this super awesome toy. Or, you can just say: get all the stickers, get 5 check marks, get 10 marbles and earn a fun activity. 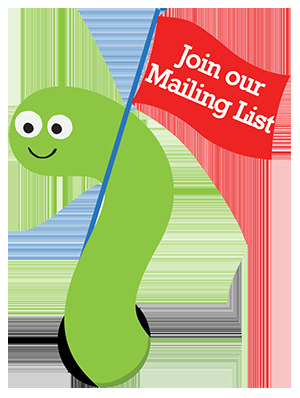 You can pick from: extra screen time, trip to the library, a new toy from the dollar spot, etc. Pick 1-3 behaviors and make sure your Little understands what they are. Have an actual token they can earn and set a goal. Provide the reward when they reach that goal. Make it a big deal! When you first start out, set the goal low. If it’s too hard to achieve, that won’t motivate anyone, especially a Little who is struggling with those behaviors to begin with. Over time, raise the goal. Make the reward bigger for a bigger goal, smaller for a smaller goal. Play with it to see what is successful for your Little and doable for you in your busy day. Make every token earned a big deal — lots of praise and excitement. Don’t spend a lot of time and money setting up a fancy system. Like all things we do as parents — as soon as we get a good system down, our Little changes things up on us and we have to be flexible. My own daughter sees a strip of printer paper and thinks I’ve made her a new sticker chart. That’s how fancy sticker charts are at my house! My aunt gave this idea from her life: She had a picture of a poodle and her daughter glued cotton balls on it. When she filled the picture, they actually got the poodle! My sister let her oldest pick out his marbles for a marble jar on a special shopping trip to the craft store (less than $5 — don’t go overboard, folks!). That helped him buy into the process form the get go. Cut up a picture of the prize like a puzzle. They get a puzzle piece as a token. The finished puzzle earns the prize! Look in the app store. Seriously — there are many apps for reward charts. Google ‘behavior chart’. You’ll find a gazillion cute templates if that’s what you’re into — cutesy. I once made a necklace for a student who was really into jewelry. It was a laminated sticker chart necklace and she loved it. One last thought: Someday you will find that things are going well and the token economy goes by the wayside. Remember it when a new problem behavior crops up and you are once again at your wit’s end. Start over. Pick new behaviors, new rewards, same system. Don’t take my word for it — this is just the tip of the iceberg in behavior analytic research supporting token economies. If you’re not a crafty person, you can always check out our reward chart here! Cooper, J., Heron, T., & Heward, W. (2007). Basic Concepts. In Applied Behavior Analysis(2nd ed., pp 560-567). Columbus: Pearson. Skinner, B. F., Ferster, C. B., & Ferster, C. B. (1997). Schedules of reinforcement. Massachusetts: Copley Publishing Group. Reitman, D., Murphy, M. A., Hupp, S. D., & O’Callaghan, P. M. (2004). Behavior change and perceptions of change: Evaluating the effectiveness of a token economy. Child & Family Behavior Therapy, 26(2), 17-36.